Posted on June 2, 2011, 8:00 pm, by ping, under General Geekey. 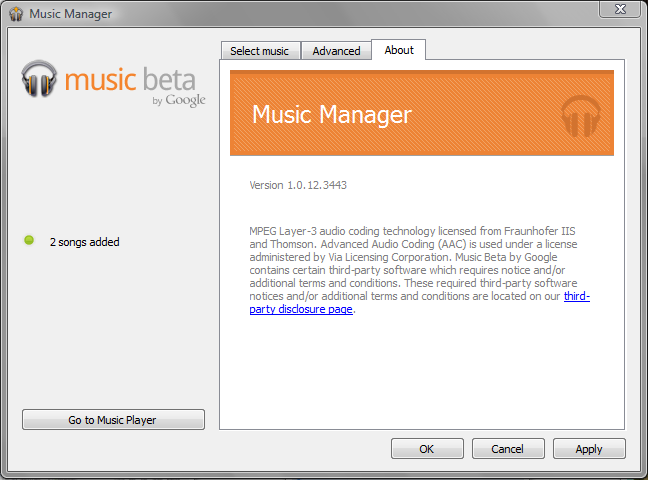 Being the Google fan-girl, I wanted to sign up for a Google Music beta invite right after the Google IO 2011 keynote. Unfortunately, as is still the norm these days, the service is only available in the US of A and if you’re outside of the US, you cannot even get enrolled for an invite. Fortunately, it was relatively easy to workaround this if you have access to US-based VPN or proxy. You can get easily get a 5GB package for US$5 from AlwaysVPN which is really useful for stuff like this and is probably a much safer option than some dodgy public proxy. 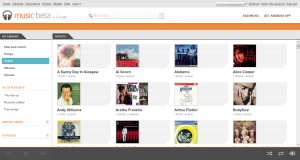 Connect through a US-based VPN or proxy and sign up for an invite at Google Music. Wait for invite. I signed up after IO and got it just today, making it about a 3-week wait. Sign up for the service through the invite link (no vpn/proxy required). Follow through the sign up instructions and download Music Manager. Launch Music Manager, sign in and select music from your computer for upload. Let Music Manager do its thing, and when it’s done, go to http://music.google.com, and hey presto, start streaming your music (and about 150 complimentary tracks from Google)! If you have an Android phone, things get better. Install the latest beta version of Music (I have v3.0.1.339) and you will be able to stream music directly on your phone. Intall Market Enabler (free, search for “market enabler”). Install Music from the Android Market (free, search for “google music”). The music app automatically picks up the music already in your phone and the music you have in the cloud for streaming. Enjoy! I’ve always hated managing playlists on the phone so I really really welcome the ability to be able to create and edit them in the browser and have them synced transparently to the phone. 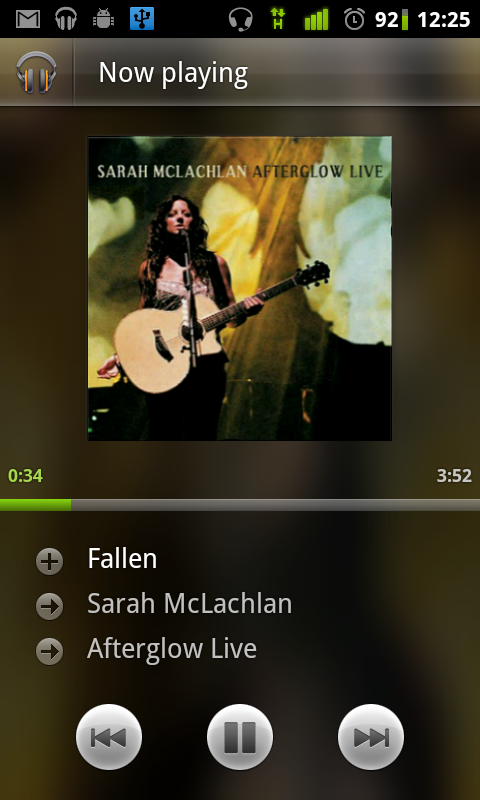 The beta Music app in the Android is an improvement on the existing version, but it’s still a little fiddly. For example, you cannot “pin” songs for offline listening from the song list view or from the “Now playing” screen. However, if you have a decent connection on the phone, the streaming works pretty darn well. 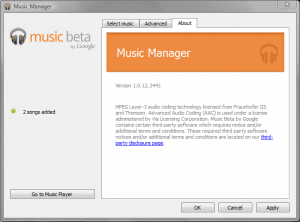 The Music Manager, in its present incarnation, is really just a glorified sync/upload client. It really doesn’t do much else. While I’m grateful that it is not a bloated beast like iTunes, I wonder if why it’s needed in the first place. Why can’t I just drop my music for upload through the browser, like how attachments are done in Gmail? Google provides some useful help online, which also gives you a good idea of what the service can do. Posted on May 7, 2011, 6:13 pm, by ping, under Thoughts & Blots. I voted for the second time in my life today. As I left my house, I saw many like me, clutching little else but their pink ID and polling card, making their way to the polling station a few minutes walk away. It was a moment to savour. For today, it didn’t matter who you are, what you do, we all have the same right to vote, to make a choice, to decide as a people who we want in government for the next five years. This may be a watershed year for our little island. Passions were heated, but justifiably so. I hope we may never lose that passion; the passion for the vote, the passion for our country’s future. An engaged people will ensure that our future is secure in the hands of those who are deserving. The opportunity to vote is both your right and perhaps more importantly, your responsibility. Let your voice be heard, let your vote be counted. Don’t ever give it up. Posted on May 25, 2010, 8:38 pm, by ping, under General Geekey. So thanks to some ingenious folks, I managed to install, what feels like a pre-release version, Froyo onto my Nexus One. The link to the upgrade image on the Google server is gone, but if you search hard enough, you will probably find a mirror somewhere. 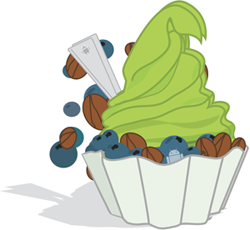 There are already too many blog posts, videos out there on the broad improvements in Froyo, but for me, it was a little fix that brought a smile to my face. Gtalk synch (almost)! I love that Gtalk messages typed on the laptop browser now appears in the mobile version automatically. It’s not a biggie like having Flash or a faster browser but it was rather annoying when it didn’t before. I frequently connect on both the laptop and the mobile at the same time and it’s nice to be able to pick up the mobile and continue the conversation without skipping a beat. I do wish that the Gtalk messages from the mobile will sync automatically back to the browser chat window but half a loaf is heck-a-lot more than none. Another cool feature, which incidentally was demo-ed during Google I/O 2010, is the Google Phone to Chrome function. This is supposedly arriving with the next version of Android, 3.0 “Gingerbread”, but an alpha-ish implementation is already available for Froyo with the Chrome to Phone extension. A really handy method to send website links to the phone and the setup instructions are relatively easy to follow. Posted on March 16, 2010, 10:03 am, by ping, under General Geekey. Thanks to a side project, I had the chance to dip my toes into Google Maps API and some general geo hackery. First up was a long dip in the Google Maps API developer documentation and API references. Mike William’s Google Maps API Tutorials were a god-send for getting up to speed on what’s possible with the API and a treasure trove of sample code for reference. Posted on November 2, 2009, 10:14 pm, by ping, under General Geekey. 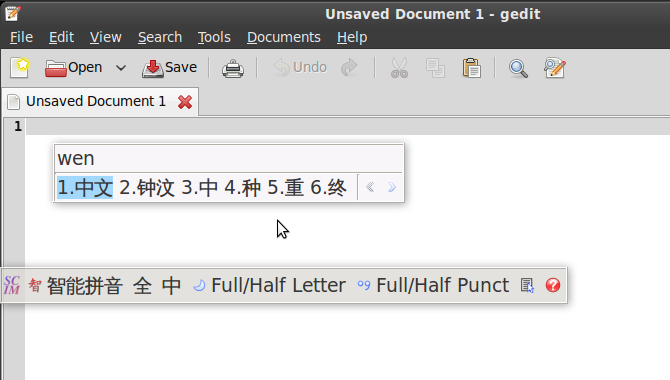 Without switching to a Chinese locale (or having your menus and stuff switched to Chinese). These steps worked for me in Karmic. Help gleaned from here mainly.